I put together this shoot to feature local artisans of all kinds. I run a small flower farm and florist with my husband in Mt Horeb. 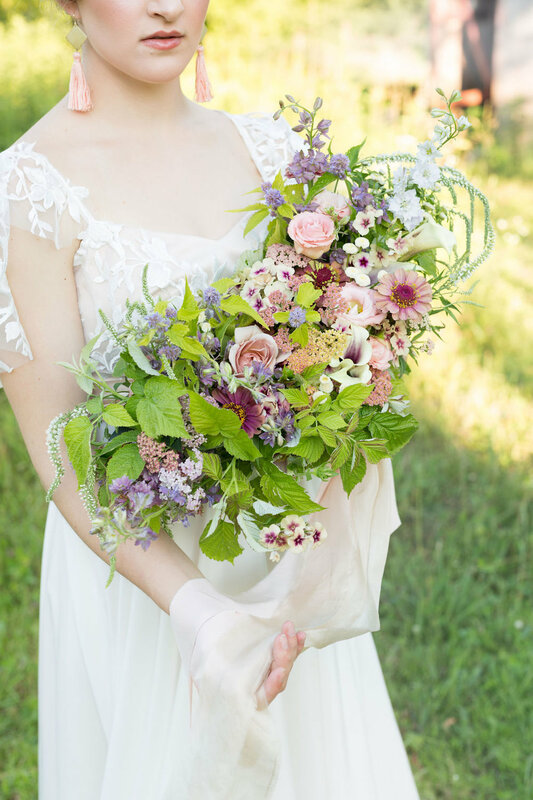 We grow cut flowers on the land my husband grew up on and have found ourselves focusing on wedding design more and more. 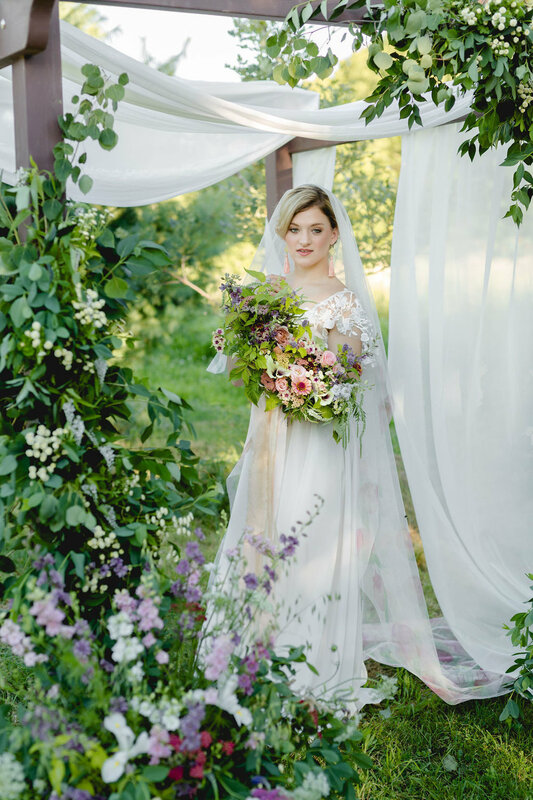 This shoot features a handmade bespoke gown by Monica of Monirose, hand dyed veil by Aeva Made, Farm to table style cake by Enos farms and hand thrown pottery by Wilson Creek Pottery. I had my friend (once a MKE native) create jewelry for the shoot to keep the thread of handmade running throughout. Of course talented makeup, hair and photography ladies brought the entire vision to life. 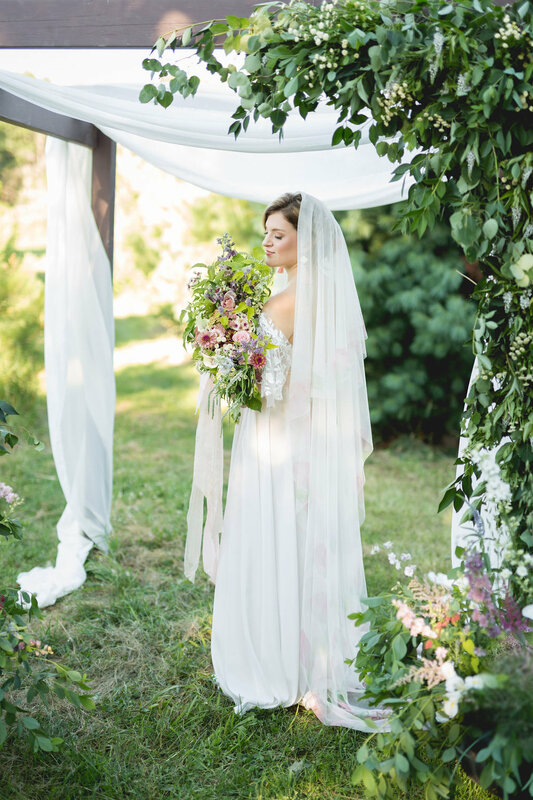 The romantic sunkissed garden feel is what local flowers do best, they show off the season in all of its glory. Lush foliages and textural blooms are the focus in early July.